Doesn’t hand-made hand soap sound delightful? 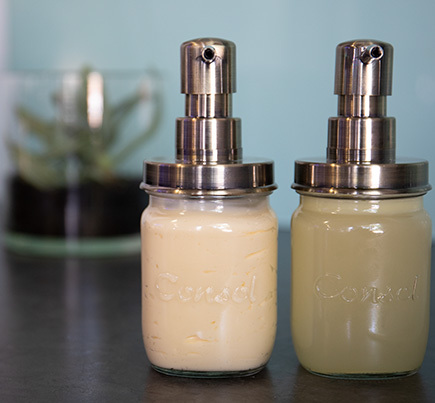 Keep your hands clean and your bathroom classy with this splendid soap in our 250ml preserve jar and bronze pump. Just like the glass jar, all the ingredients are as healthy for the environment as they are for you. Hands-on happiness all round! Fill a second jar with moisturising lotion for a handy gift in a hurry. Add the water to the Consol preserve jar. Add the Castile soap and then the oils. Close with the bronze pump. Shake gently every now and then between uses.